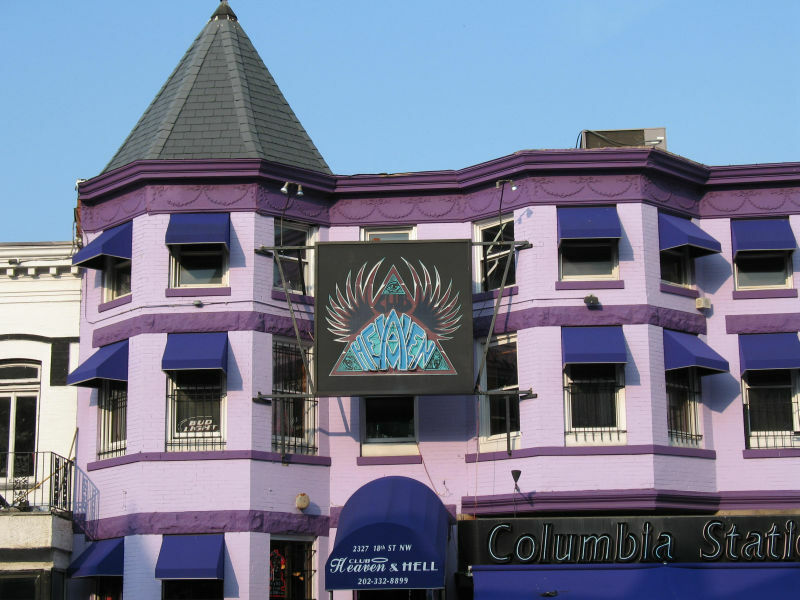 What a funky, fun cosmopolitan party place. 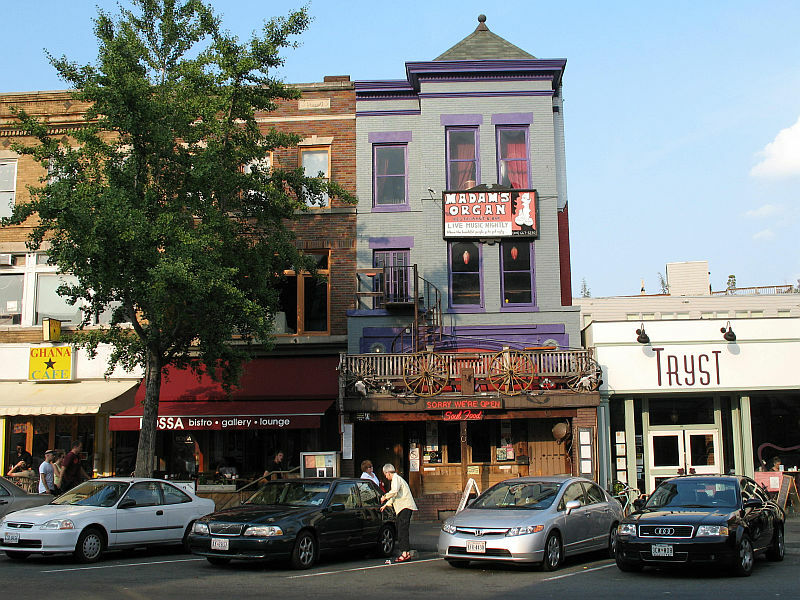 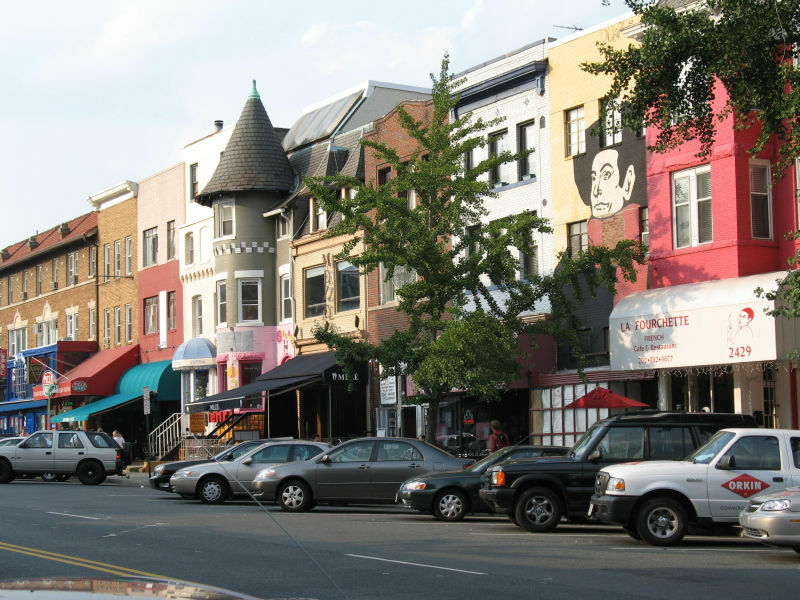 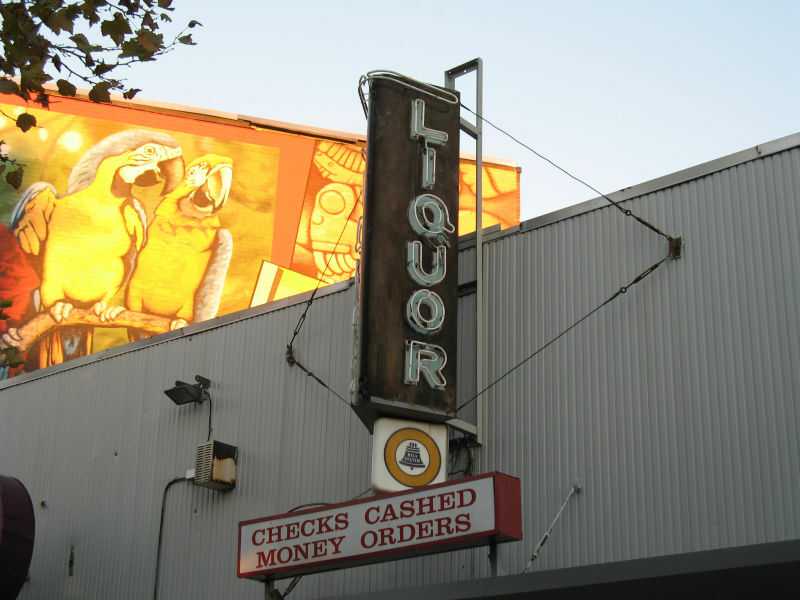 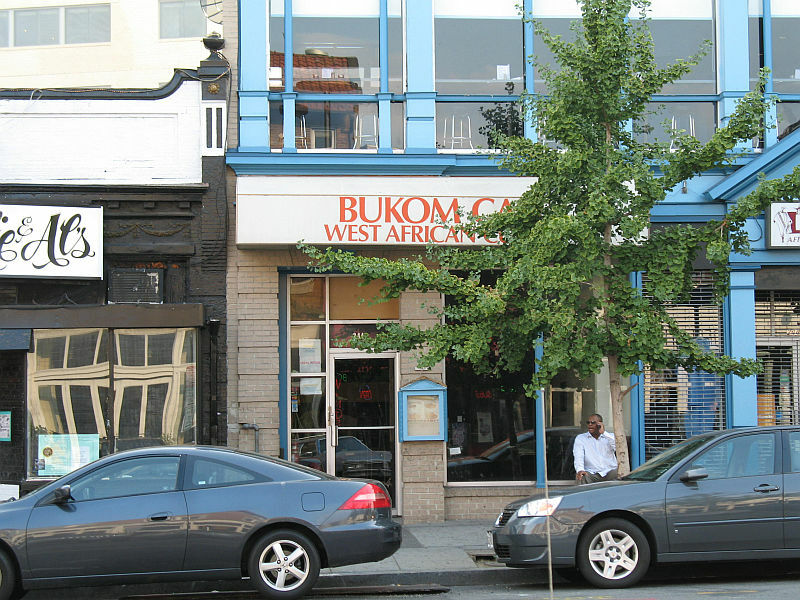 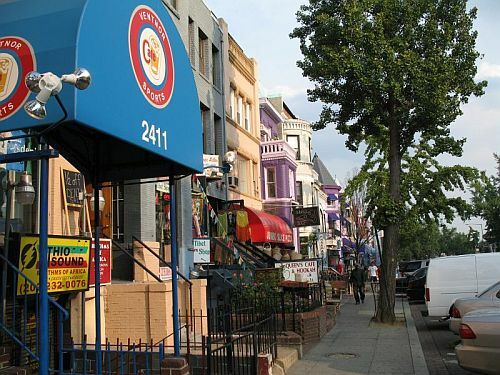 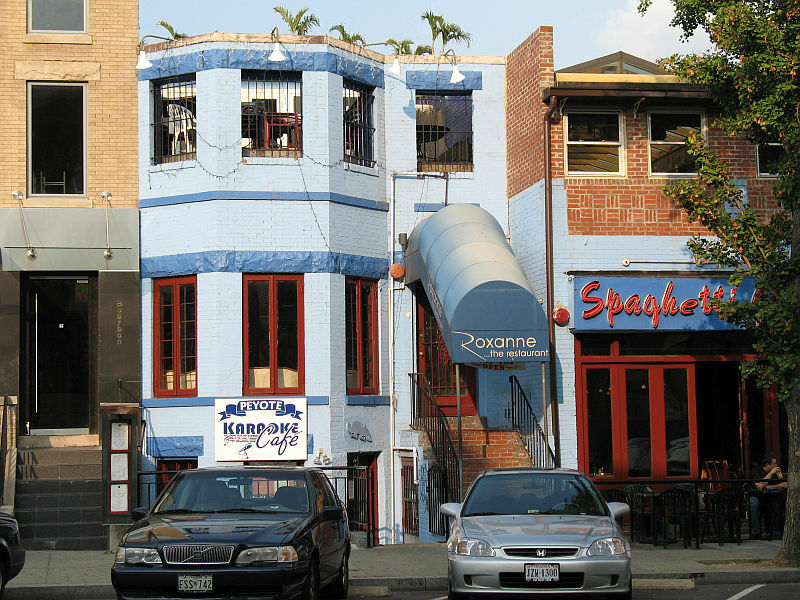 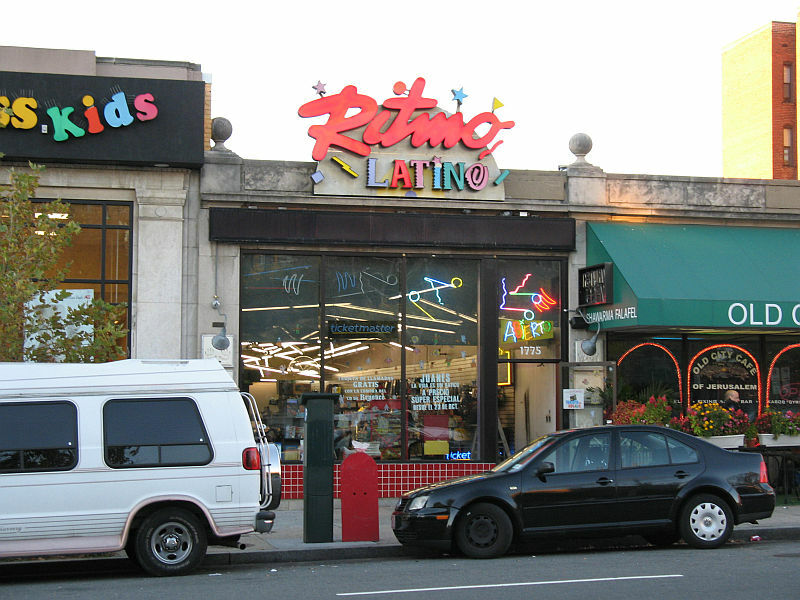 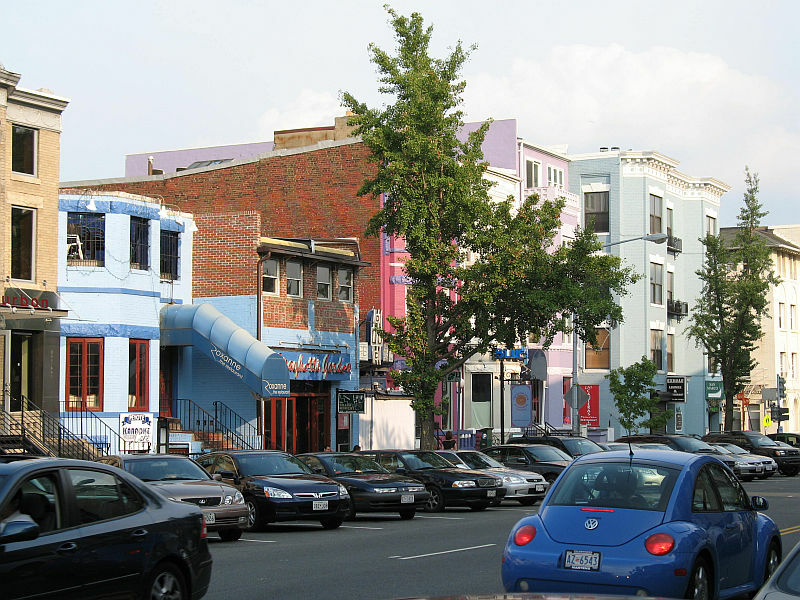 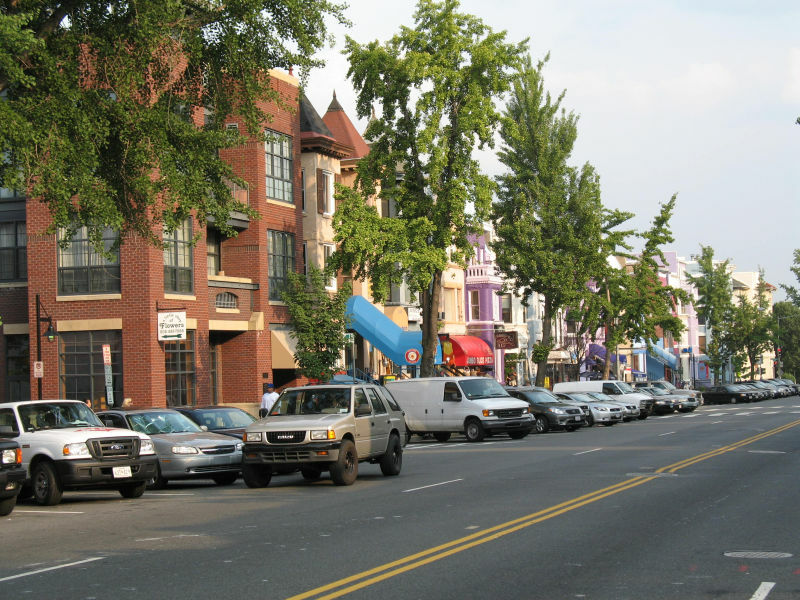 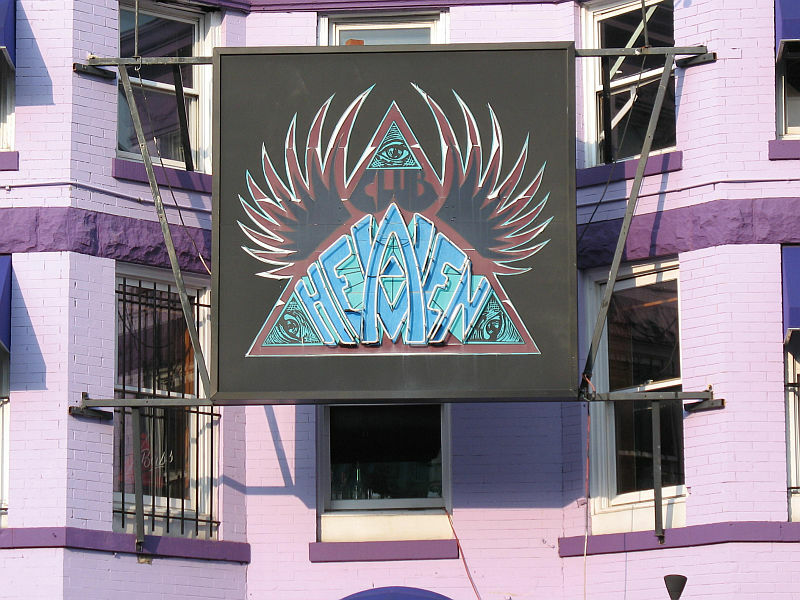 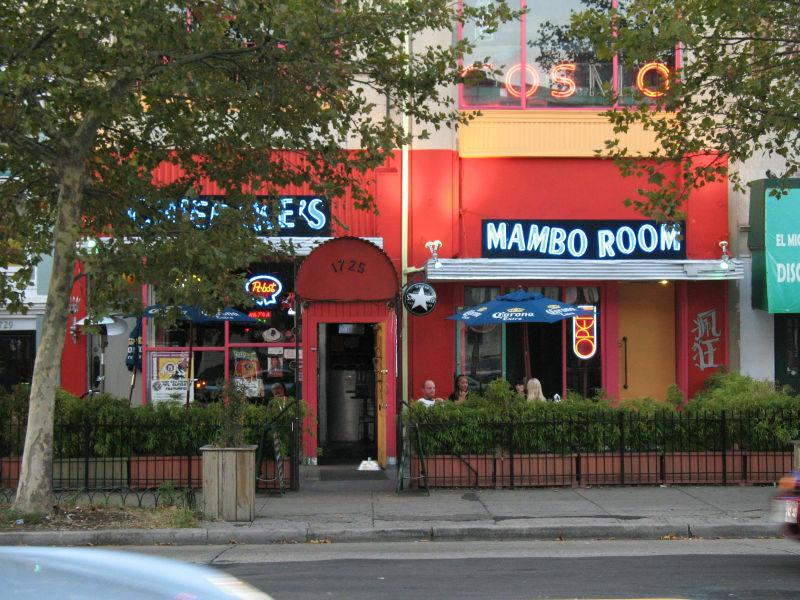 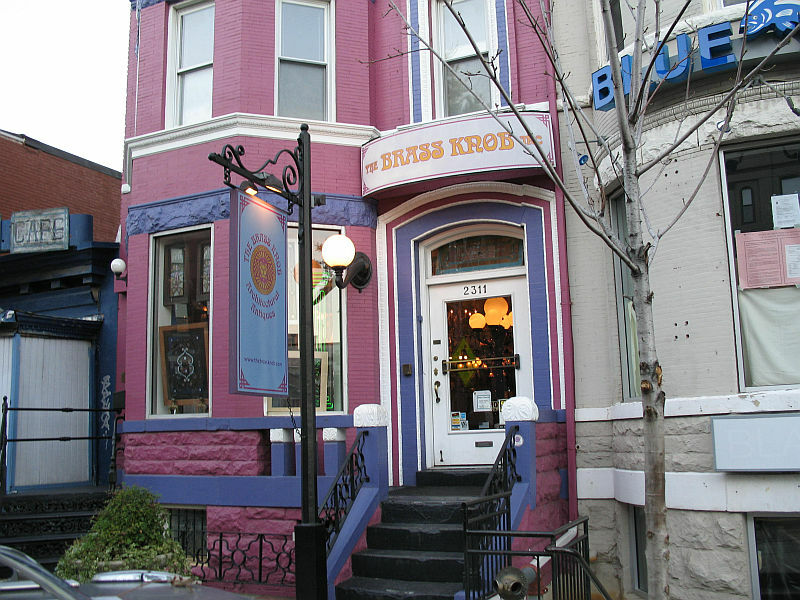 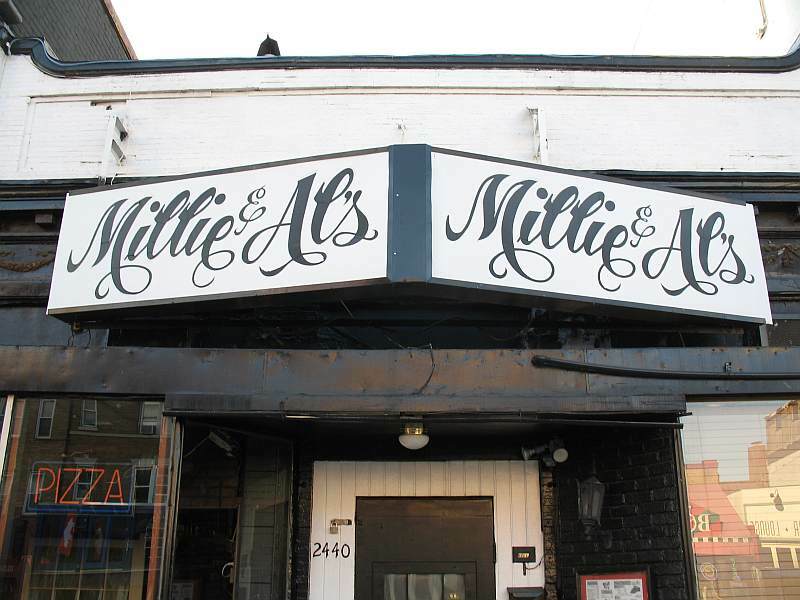 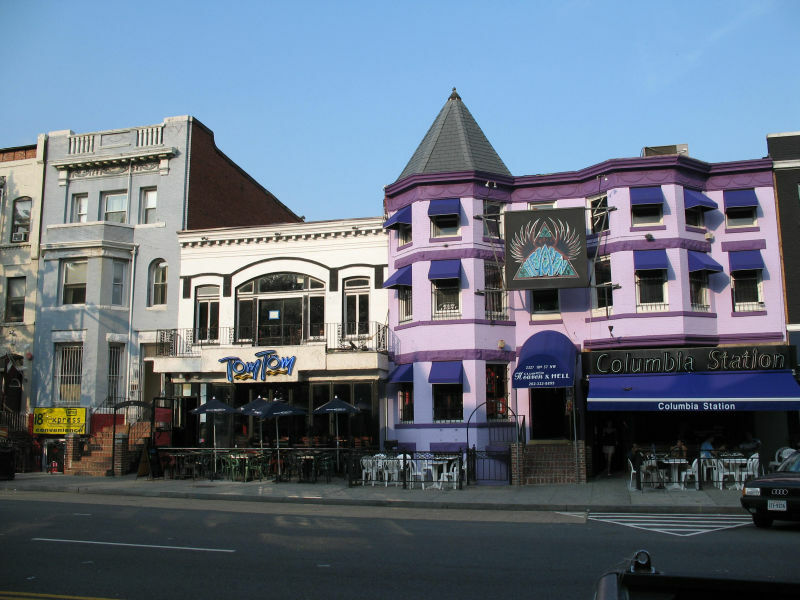 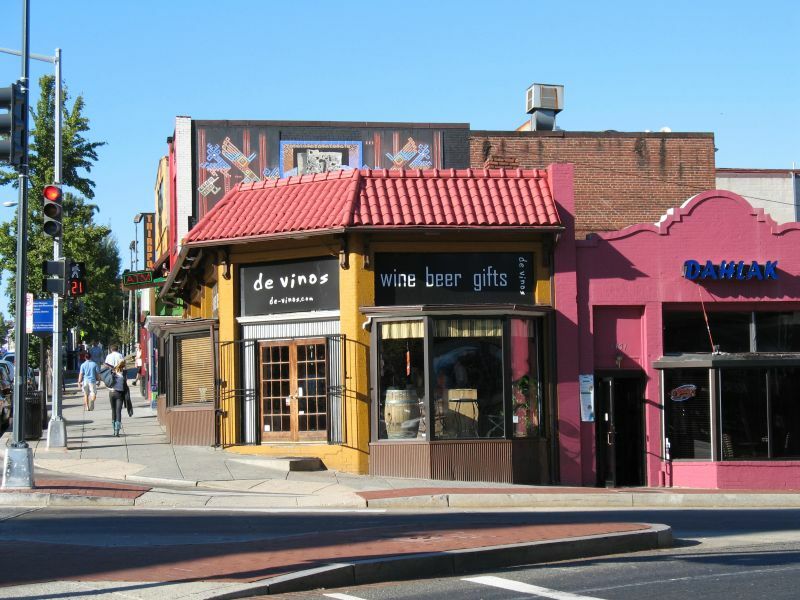 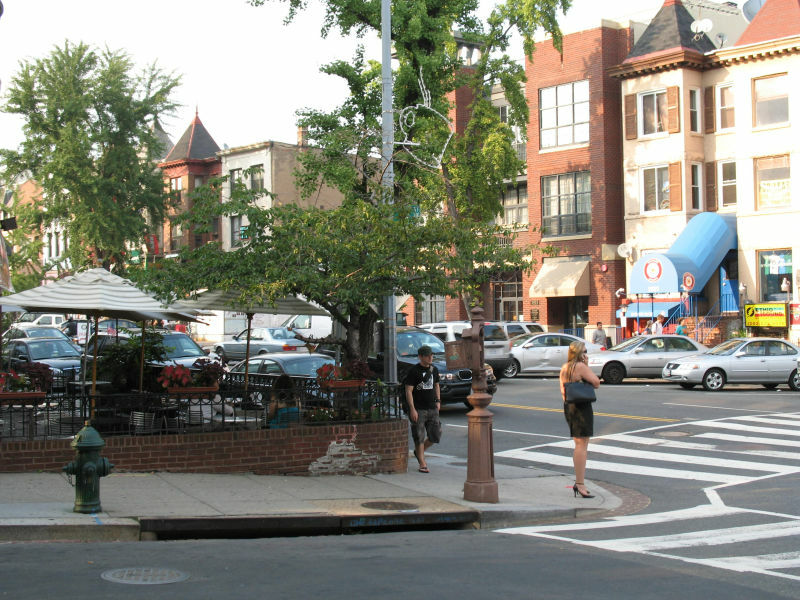 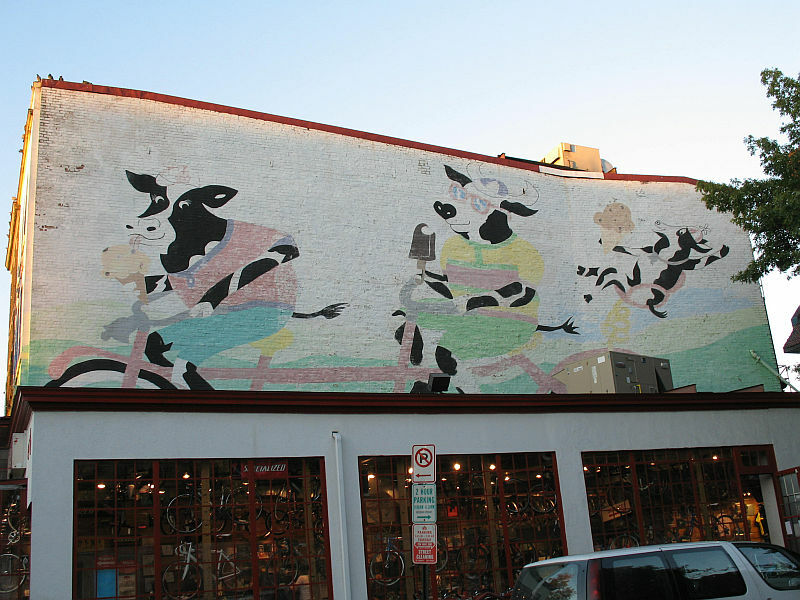 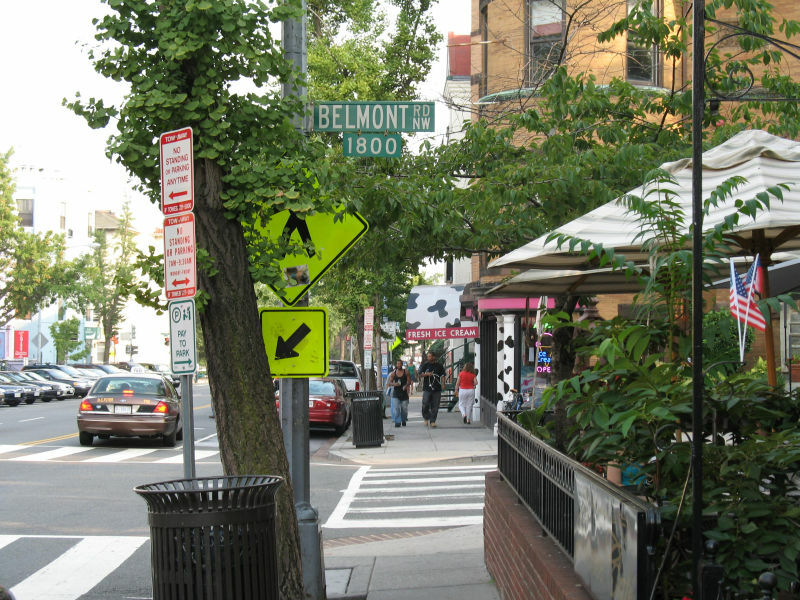 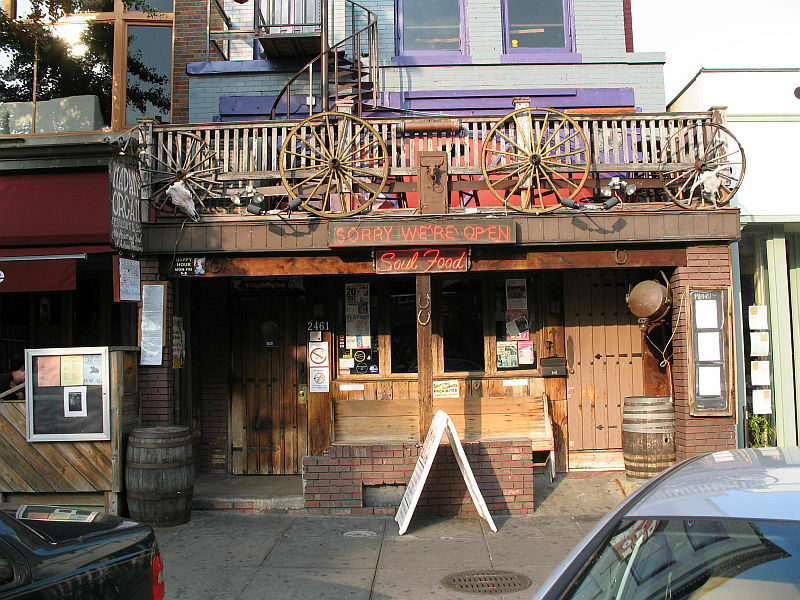 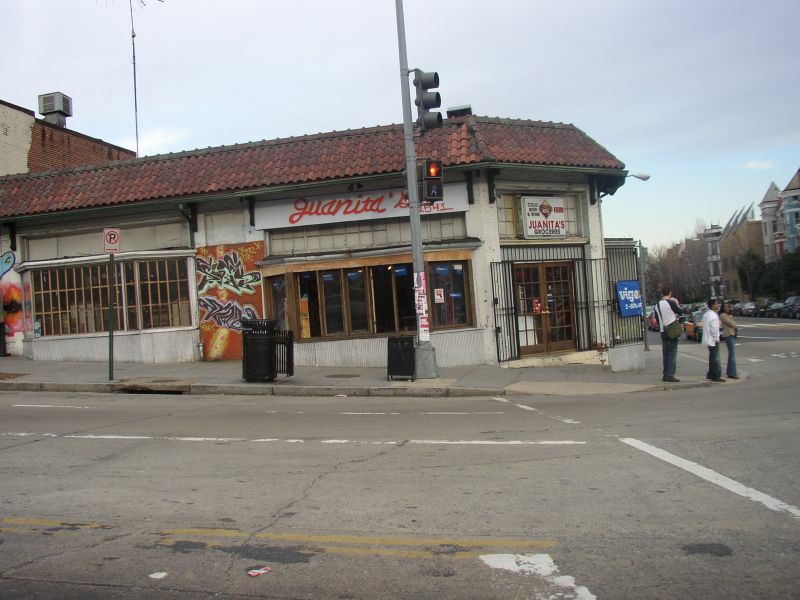 Ethnic grocers from North Africa, Hookah bars, provincial french cuisine, slam dancing at Club Heaven, live jazz improvisation at Bukom Cafe and the legendary, tabletop tap- dancing bartender of the former Cafe Lautrec are just a few of the good times to be had in Adams Morgan. 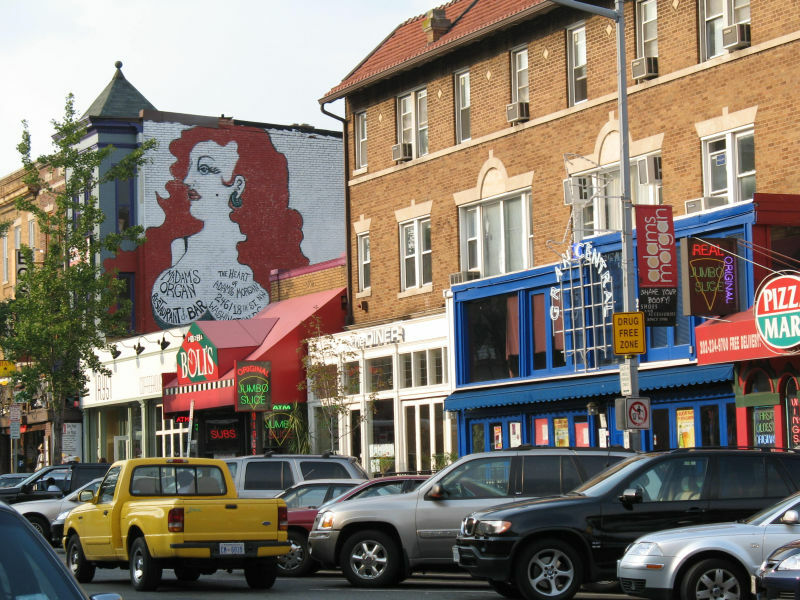 From authentic Bardia's New Orleans style beignets to a bar as noted for it's numerous murders as for it's dimiunitive size and purported ownership by the Columbian Cali narcotics cartel, Adams Morgan is quite an interesting place, but don't expect to find a parking space within a mile on Friday or Saturday night. 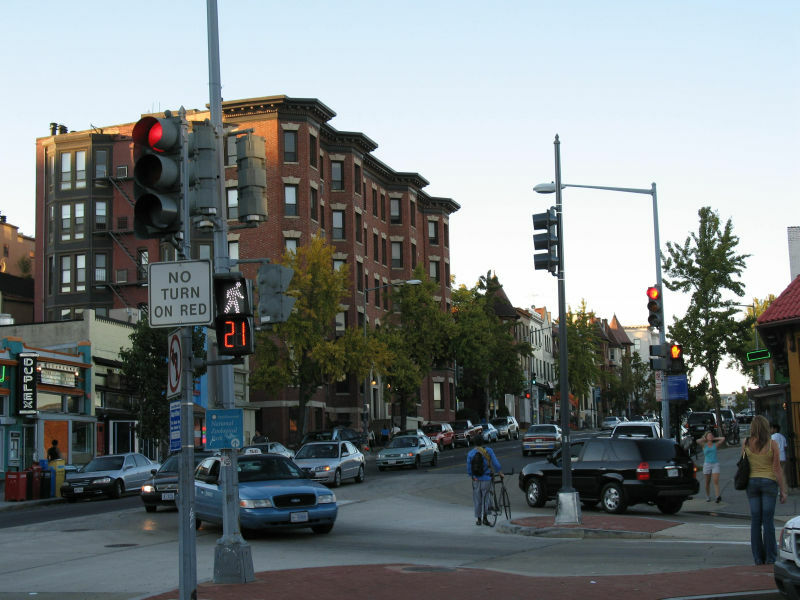 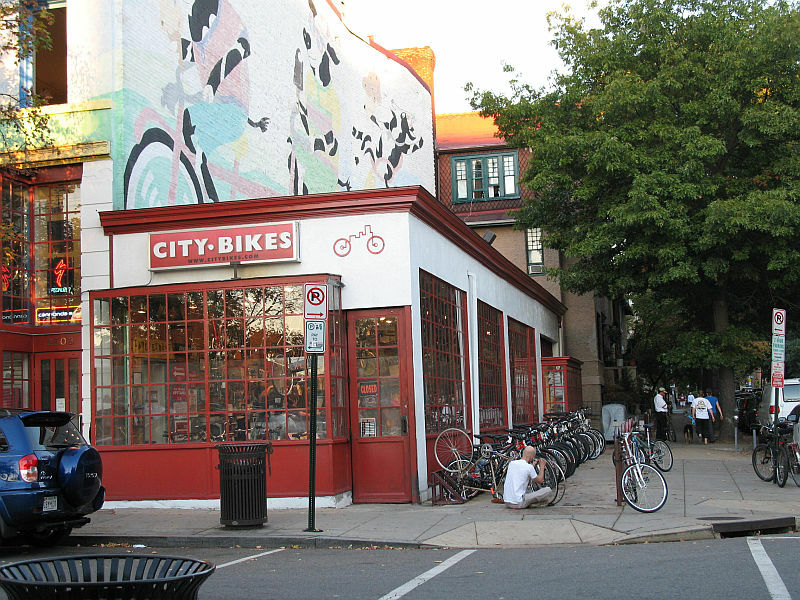 This photo taken at the corner of 18th and U St N.W. 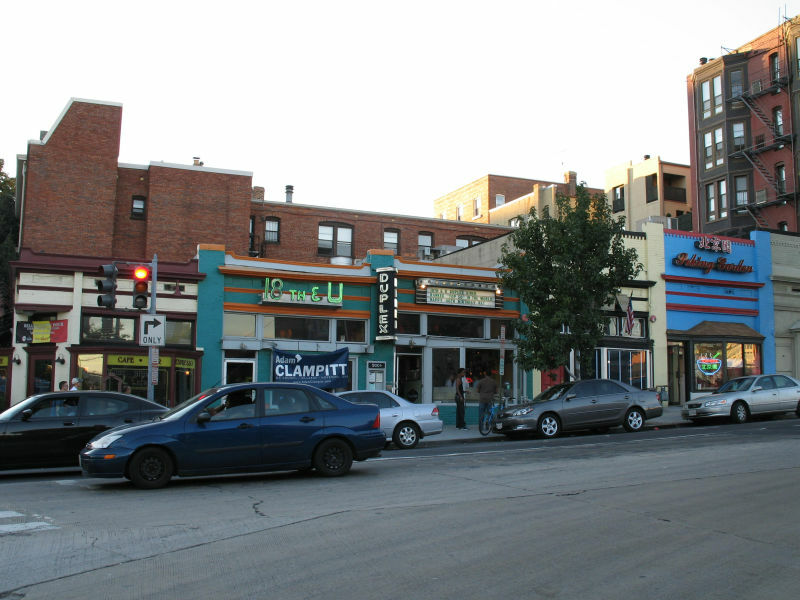 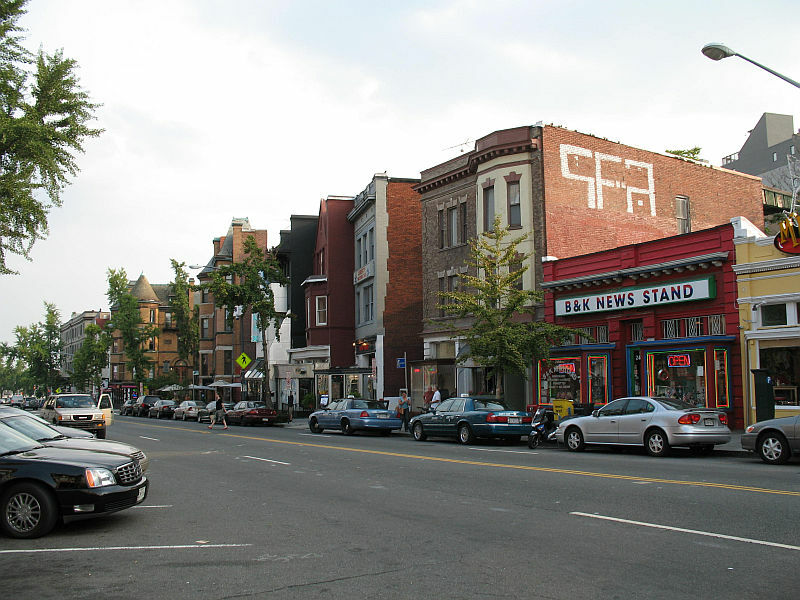 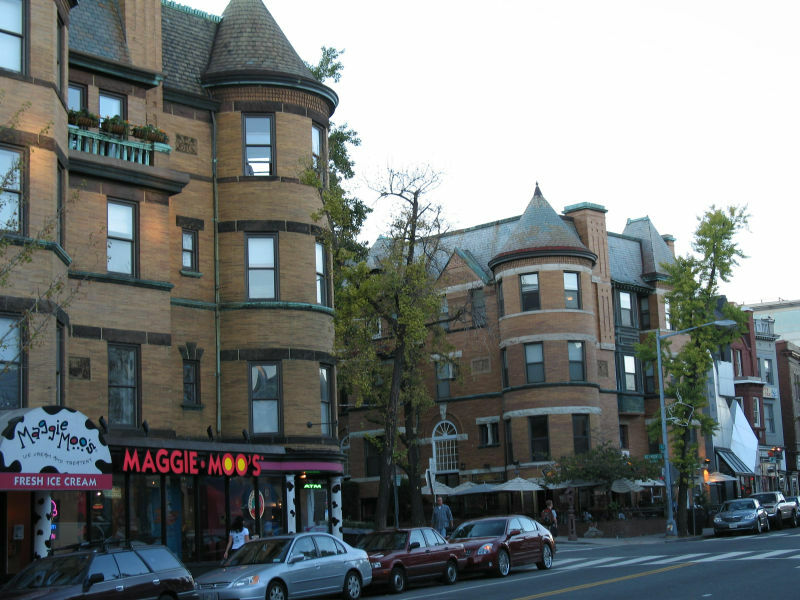 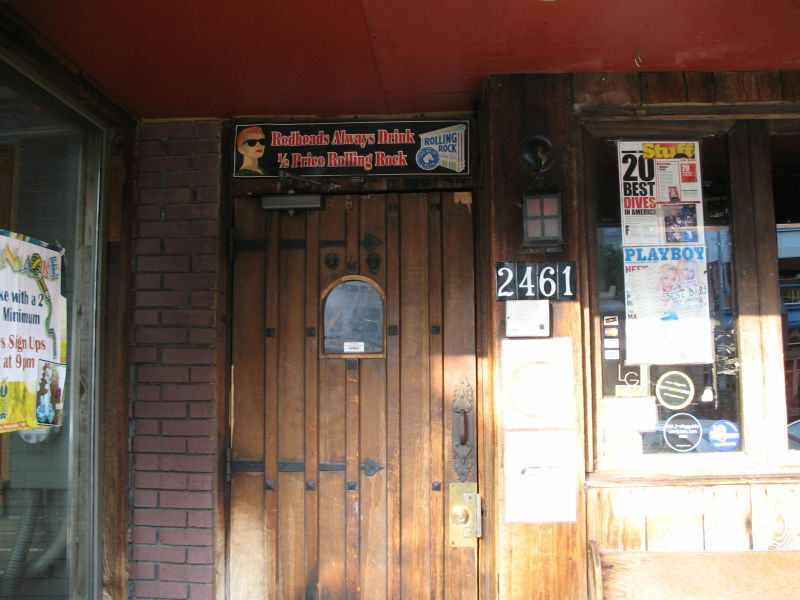 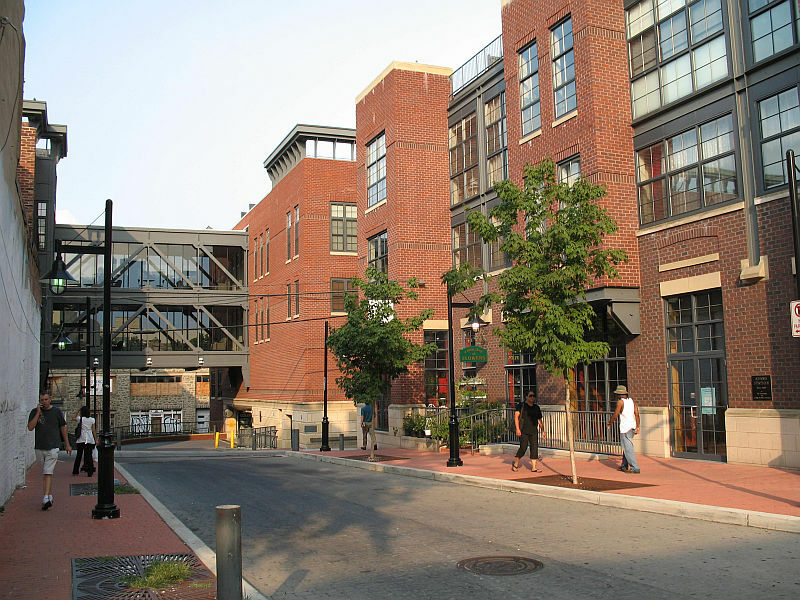 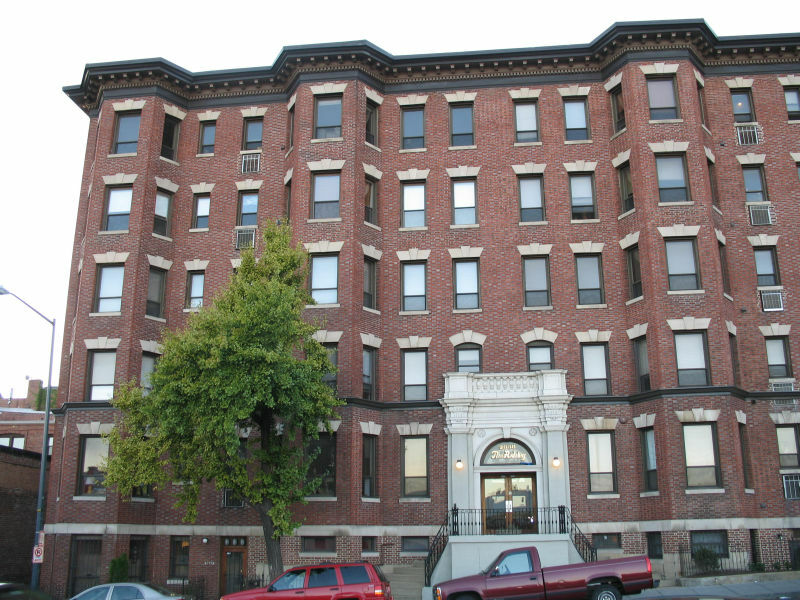 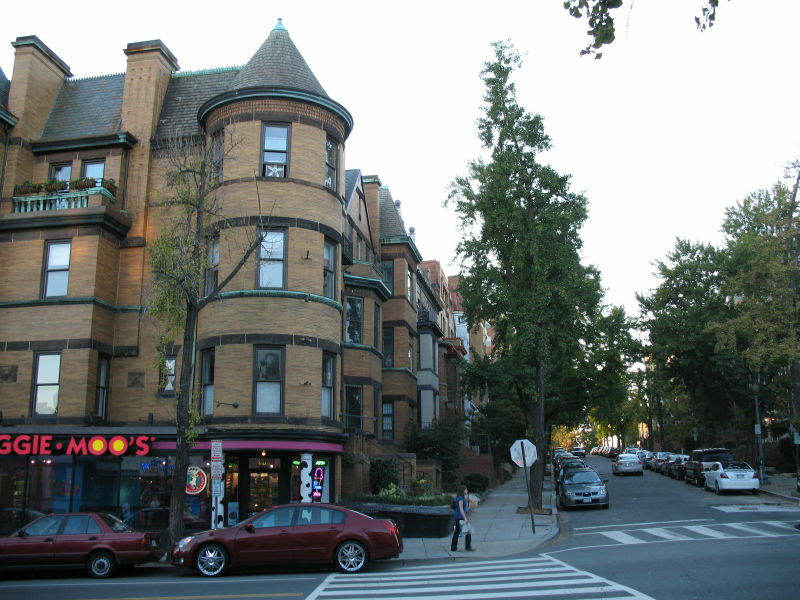 and facing east depicts the same building, prior to the revitalization which has transpired in Washington, as seen in the next image. 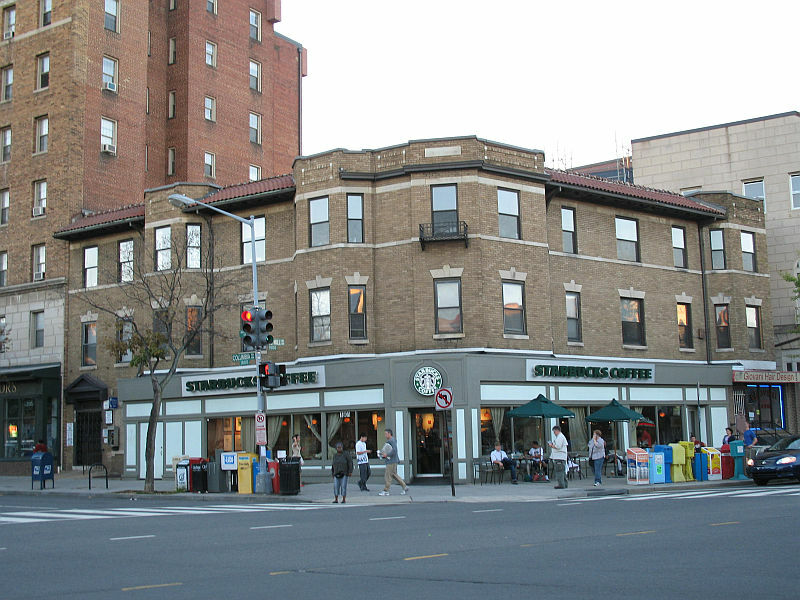 Starbucks Coffee 18th and Columbia Rd N.W.